I haven’t been here in a while because there has been so, so much going on. D’s sister’s wedding was last week and she absolutely embodied the spirit and joy of her mother. D officiated the ceremony and did an incredible job. There have been many signs that D’s mom, Fran, is still with us. The most amazing of which is something I can hardly wrap my head around. We couldn’t believe it. We both broke down in tears and immediately saw it as a sign that his mom is somewhere taking care of our little Sweet Pea. It was both chilling and comforting, and I’ve never experienced such relief to think that our baby is somewhere being taken care of, and that Fran is doing what she has always loved the most and done best: taking care of her children. That’s all I can really write for now. This has been the hardest two months of our lives. I hope we can find more respite soon. This entry was posted in Uncategorized and tagged afterlife, Death, infertility on May 23, 2013 by nickeecoco. It’s with a heavy heart that I write this post. D’s mother passed away suddenly yesterday. 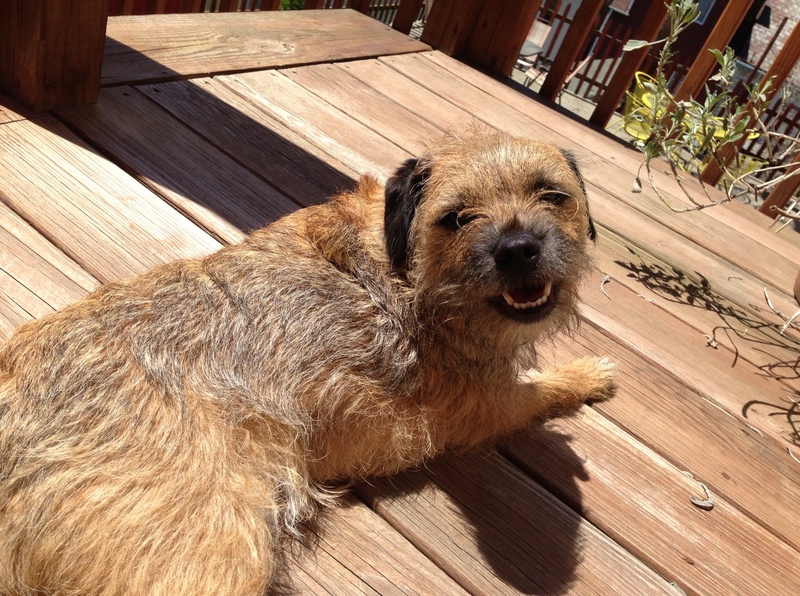 She was not ill, and we still don’t know the cause, but the examiner said it was likely sudden and quick. We are devastated to say the least. I just needed to let this out here. Prayers and positive thoughts are appreciated. This entry was posted in Uncategorized and tagged Death on May 8, 2013 by nickeecoco. I’m staying a bit late at work tonight to work on a photo transfer onto canvas for my parents’ 30th wedding anniversary. Today is their actual anniversary, so congratulations to them! Yesterday I ran the second leg of the Pittsburgh Marathon, which was 3.5 miles. I was so convinced I could do it at a ten minute pace, but I went out too fast, did not anticipate the inclines, had to wait in line for a bathroom at the beginning, and had gotten my period that same day. I wanted to prove to myself that I could do it, that I had something under my control, and I feel a bit like I failed. My time was 42 minutes, which, while respectable, just wasn’t how I wanted to finish. I had to stop and walk at least twice, and in general I just felt kind of “meh” about the whole thing. I’m hoping to redeem myself with a half-marathon at the end of July. Of course though, we decided to attend a friend’s birthday celebration yesterday afternoon without thinking about who would be there. This friend has two children–a brand-new baby who is amazing and gorgeous, and a bright, spirited, lovely 19-month old. These particular friends are about five years older than me, and two or three older than D. I knew there would be kids there, but I was not prepared for how many. There were about eight couples including us, and we were the only ones not with children or currently pregnant. It really hit me at that point how we were the infertile 1 in 8. D kept telling me that they’re all older than us, which I understand, but it was still overwhelming. I kept myself busy by drinking hefeweizen and talking with our close friends who struggled for three years to conceive and now have a healthy 10-month old. But at a point I knew I was going to become emotional, I hurried to the bathroom and shed some tears. We stayed for about 15 more minutes until I decided that we needed to leave. On the way home, I told D that I’ve felt so strong these past couple of weeks, and I thought that I was prepared to see lots of people with babies, but I wasn’t. I had a sneaking suspicion the day before that perhaps it wasn’t the best idea I’ve ever had, especially given the circumstances of getting my first period after an ectopic, but i ignored it. 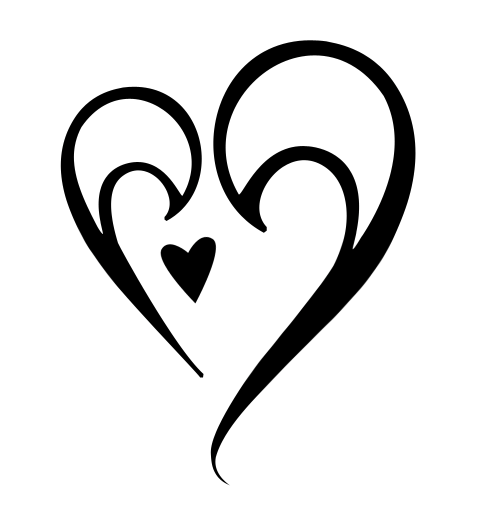 I feel like I’ve taken a bit of a step back in my emotional recovery, but I hope that I’ll be able to take a couple of steps forward as a result. In fertility news, I am now officially, by self-imposition, infertile. Meaning that I started BCPs yesterday. Again, I’m hoping that it will clear up some of my PCOS symptoms (especially the weight gain) and regulate how often I get my period. D has his SA scheduled for this Wednesday and we have another meeting with Dr. A at the end of June. I really want to enjoy myself this summer, but I feel like we’re so far away from our IVF cycle right now. I think that for me I’ve taken a long enough break, but D needs longer. If it were only my decision, we’d be onto IVF in July. I’m sure that in the long-run, this summer will seem to have been very necessary, as it’s likely the last summer we will spend without children. But for right now it seems like an unnecessary three and a half months. I want to focus on myself and my relationship with D. I want to have fun, and I want to look forward to things. But right now I’m having a hard time relaxing and being able to do this. Has anyone out there taken a long break from TTC? I’d especially love to hear it if you moved onto another method of treatment afterward. This entry was posted in Uncategorized and tagged infertility, IVF, PCOS, running on May 6, 2013 by nickeecoco. We’re doing IVF. In September. I am at once relieved and nervous, of course. But mostly right now I am feeling extremely hopeful. When I was handed the IVF packet at my appointment yesterday I teared up a bit for a couple of reasons: I never thought I would end up here, and that it is so, so possible that this will create our baby. I had blood work done yesterday too to see if I can start BCPs again (hopefully to clear up some of my PCOS symptoms) and they measured my AMH as well. Hopefully in July or August we can begin all of the other testing that is involved. 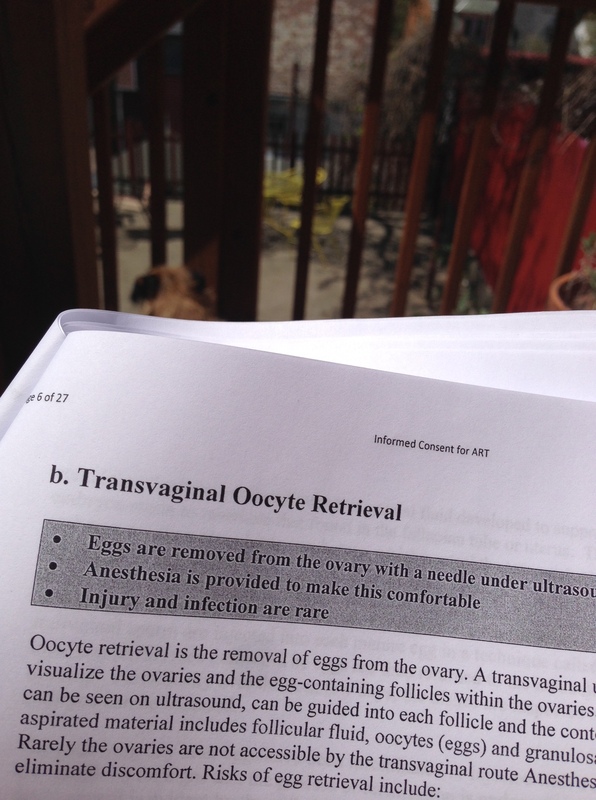 Now I get to become one of those bloggers who documents her IVF experience that have been so helpful for me to read. This entry was posted in Uncategorized and tagged infertility, IVF on May 2, 2013 by nickeecoco. 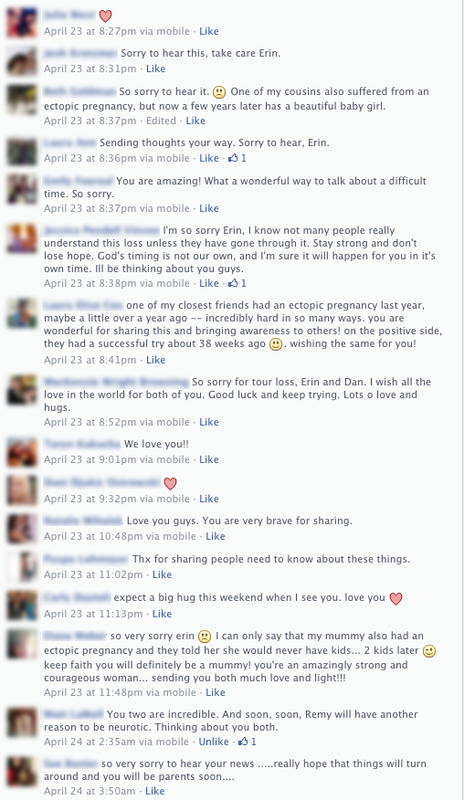 As promised, here are the screen caps of the positive responses I got from my NIAW “coming out” infertility FB status. You can see that there is a “God’s timing” thrown in there, but other than that, everyone’s comments really helped. I never thought I would have the courage to post such personal information, but I’m glad I did. I feel lighter, and I hope I offered some information or comfort to those people currently struggling. Why did the ectopic happen? Why was it not caught during the first ultrasound? Why did a nurse not speak to the doctor and call me back when I told her I was having pain and no miscarriage? My beta was 16 at 15 DPO. I knew deep down that this pregnancy was not going to work out. Why was this not a red flag? What are our next steps? I only have a few medicated/monitored cycles left in me, emotionally and physically. Does it make the most sense to move straight to IVF? I’ve started taking abil.ify daily for depression stemming from this whole situation. Is this safe to continue through the first trimester of my next (possible) pregnancy? What are my chances of having another ectopic? Now that I’ve put these all into a numbered list, they don’t seem as daunting. Thank God. I will say one thing about my decision to start abil.ify: it was a long time coming. I have been considering starting some sort of medication since we had our first medicated/failed cycle, but have held off because “I’m strong enough” without it. I can honestly say now that I have absolutely proven this to myself, and I have got to draw the line somewhere. As the wonderful Mo said to me recently, “you are not superwoman.” I really thank her for that reminder. When I began having severe separation anxiety from D, thoughts of suicide (don’t worry, I would never, ever act on these,) and obsessively counting the paces from my office to my car, my car to my front door, etc., I knew that it was time to pay my psychiatrist a visit. So far, so good. I have more energy and am starting to look forward to things again. 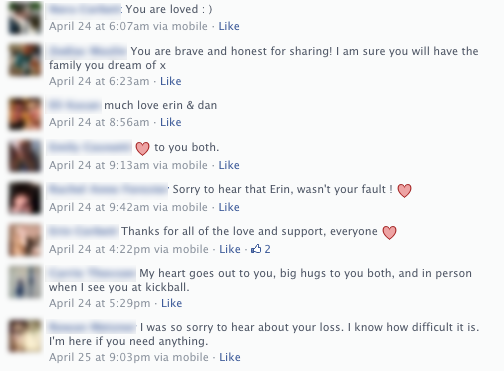 On a somewhat related note, I have a coworker whose best friend suffered through an ectopic at the same time as me. She tried to kill herself a little over a week ago. I keep thinking of her, and have offered my contact info to my coworker, but her friend will not reach out to me or anyone else. If any of you readers could just take a moment and send positive thoughts/prayers toward her, that would be appreciated. I ache so badly for her. Wish me luck and strength tomorrow. I’m going to need it to walk back into that building. This entry was posted in Uncategorized and tagged depression, ectopic, hope, infertility, NIAW, tattoo on April 30, 2013 by nickeecoco. I then posted a link to this RESOLVE article. This entry was posted in Uncategorized and tagged NIAW on April 23, 2013 by nickeecoco. My beta yesterday was 7. This is the first piece of good news I’ve had in 4 weeks. I’m so glad this is really ending and I can close this chapter in my life. Obviously there is still going to be emotional pain, but I’m looking forward to our mandated break for the first time since the surgery. Thanks for all of the comments of support I’ve gotten in the past week and a half. I really appreciate it. This entry was posted in Uncategorized on April 10, 2013 by nickeecoco.